Computers have come a long way in the past half century. I’m going to compare two computers, one from 1946, the other from 2011. 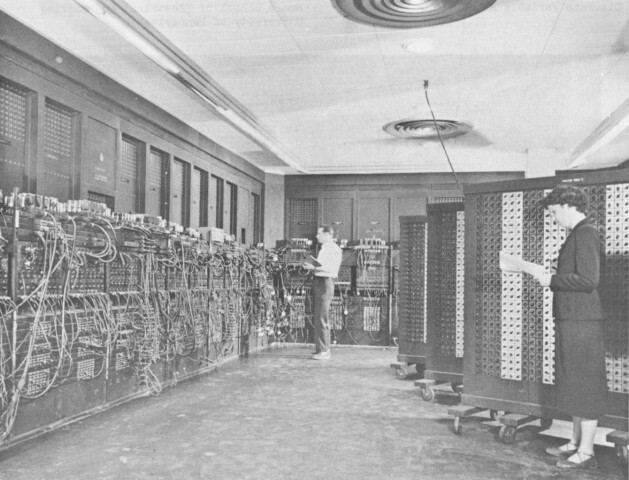 Lets start out with one of the earliest computers, the ENIAC. ENIAC stands for Electronic Numerical Integrator and Calculator. It was able to do simple equations, like find the circumference of circles. It was able to process at 0.1 Mhz. To put this into perspective, the iPhone can run at 800Mhz, which is 8,000 times faster! The ENIAC weighed 30 tons, used more than 18,000 vacuum tubes, had 3000 switches, and produced the same amount of heat as 3,000 lightbulbs. Yet, it could only hold 20 numbers at a time! Here’s a picture of this goliath dinosaur. Now I’d like to introduce the new Habey SOM-6670 E6XX Tunnel Creek QSeven computer module (quite a name, right?). The orange thing is post-it notes. That little thing can pump out a bit more than 1GHz, which is 10,000 times faster than that ENIAC. And look at it’s size! 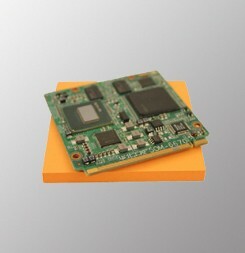 This tiny little computer is capable of decoding two 1080p HD video streams simultaneously to an external monitor. That ENIAC could barely contain 20 numbers! If you don’t believe me, check out this video. As you can tell, computation has come extremely far in 65 years. Yes, the ENIAC was created in 1946! And the speed of computer evolution only increases as time goes on. In only a few years, we will have some ridiculous technology. It was only a few years ago that laptops were big, bulky, and not so powerful. And now we have computers like the MacBook! I’m quite excited for what the future of technology holds for all of us! @onowa (A.K.A. Carlos Rodela) gave me a shoutout on his show Rad on the Web. Thanks a lot Carlos!